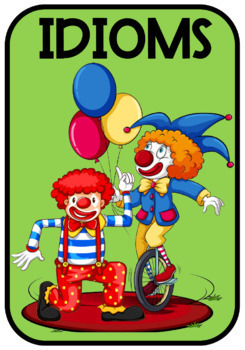 Have you been umm'ing and ahh'ing about whether or not to "bite the bullet" and "jump in boots and all" to purchase any of my best-selling Idioms printables/resources? 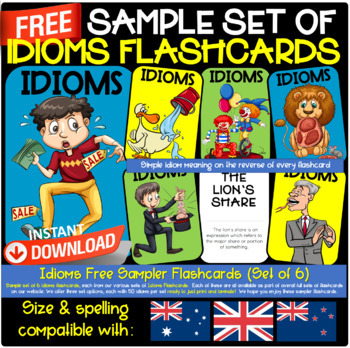 Now you can download this freebie sampler set from my best-selling Idioms Flashcards. This freebie set comes with six individual, full-sized flashcards in my popular character themes, with two samples from each of my available sets. 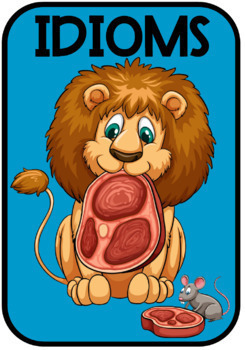 These six sample flashcards come from my Blue Set which has 50 individual idioms; my Green Set which also has 50 individual idioms; and yep, you guessed - my Yellow Set which also has 50 individual idioms! There are zero double-ups in my full sets and every flashcard is double-sided with a "plain English, simple meaning/explanation" on the reverse side of each flashcard. So now if you choose to "paddle your own canoe" and be "as cool as a cucumber" by deciding to purchase one or more of my Idioms printables, you will be like a "kid in a candy store" when presenting them to your students in a fun, "the sky's the limit" way especially when they "pass with flying colours" when you test their new-found knowledge. So what are you waiting for? A "little birdie told me" that "time flies" and you don't want to be "down in the dumps" missing out. 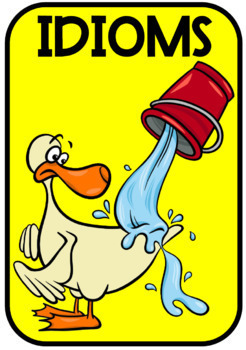 So c'mon, "jump on the bandwagon" and come check out all of my Idioms resources HERE. You might just find that, "in a nutshell" they're the "best thing since sliced bread." I have set up the PDF document so that the reverse of each card is already flipped so that you don’t have to adjust anything when it’s time to print, so that you get both sides of these cards the printing the “right way up” on BOTH sides. So please don’t be alarmed if you purchase this product and upon opening it you see the picture side of the card the right way up, and its reverse upside-down. This aspect is going to make your life so much easier when it comes time to print these flashcards. The set is in an Australian A4 PDF size, and it has two flashcards per page (double-sided). The exact dimension of each flashcard is 18.9cm (H) x 12.9cm (W). This is a great size to be able to sit in front of your class and hold them up in a way that they will be visible by all students, and not just ones sitting close to the front of the class.